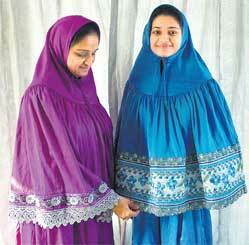 The Bohra Muslims have successfully carved a distinct identity among Indian Muslims. For long considered a close-knit community largely engaged in business, the Bohras are now emerging fast as a more visible minority. Until a few years back, Bohras were seen as a small sect mostly concentrated in Gujara, Maharashtra, Western Madhya Pradesh and Rajasthan. And it was common to label them as Muslim banias. Though there was praise from different quarters about their honest trade practices and the fact that they stayed away from politics or agitations. But it's not the situation anymore. Bohra youths are now becoming doctors, chartered accountants, hoteliers, writers, artists, software professionals and they are also getting active in social work, which is important considering the lack of social groups run by Muslims. Currently, the Dawoodi Bohras are more in the news. As events being organised to mark the celebration of the birth centenary of their spiritual head or 'dai al-mutlaq' Syedna Mohammed Burhanuddin. The programmes show the vibrancy of the community. Sparrow competition, all such events show the community in positive light. Nearly 5,000 bird feeders were distributed as part of Save the Sparrows campaign. Newspapers and channels are also covering these events extensively. When women in colourful burqas thronged the stadium, it was a unique sight for non-Muslims, many of whom consider burqa as a sign of oppressive dress. But here the burqa clad women were taking part in 100 m and 200 m sprint competition [along with other sports] with elan. It is not healthy when a community gets the image that it is on street only for a protest or for demands. There are numerous other facets of life. It is in this context that the events either for awareness regarding environment or sports competitions, organised by Bohras should be praised. Like other groups Bohras also have their own internal and internecine issues. There are often accusations of harassment and the Bohra leadership is also under attack at times. Frankly, religious beliefs are an individual's personal matter while with regard to social or community related issues, there are various forums available in a democratic society to air your grievance and seek redressal. Bohras are also not monolithic though the overwhelming majority in India belongs to Dawoodi Bohras. 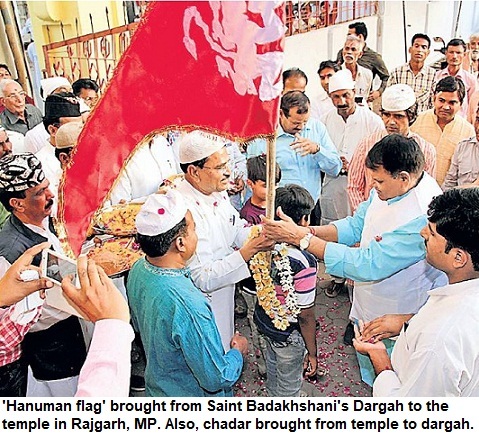 There are also Sulemani Bohras and the small Alvi Bohra sect other than Udaipur group, who call themselves Progressive Bohras' and the Nagpur-based 'Atab-i-Malak jamaat' amongst others. The Bohras have a number of shrines including the tombs of their former spiritual heads [dai] in the country. But we don't get to read or hear much about them in media. What is more surprising that even Urdu newspapers hardly print anything about them. Once in a while you might find the Bohra Biryani's recipe in English newspapers' magazine section, however, there is little about them in English journals brought out by Muslims also, let alone Urdu newspapers and magazines. However, the recent events and their attempts to engage with media in the last couple of years are a positive sign. This indicates that the Bohras are no longer going to stay aloof, and want to make their presence as a vibrant community.